Aside from climbing pyramids and doing some pilgrimage, I did get to do some fun stuff while I was in Mexico. 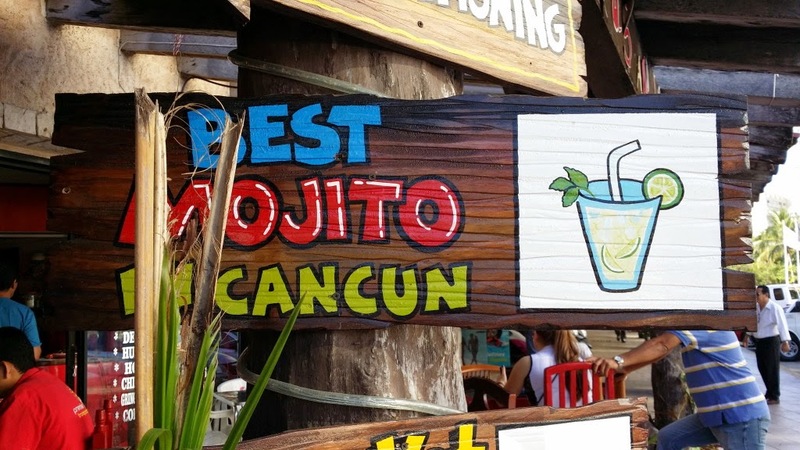 And where else to do seriously fun stuff in Mexico than in the city of Cancun? 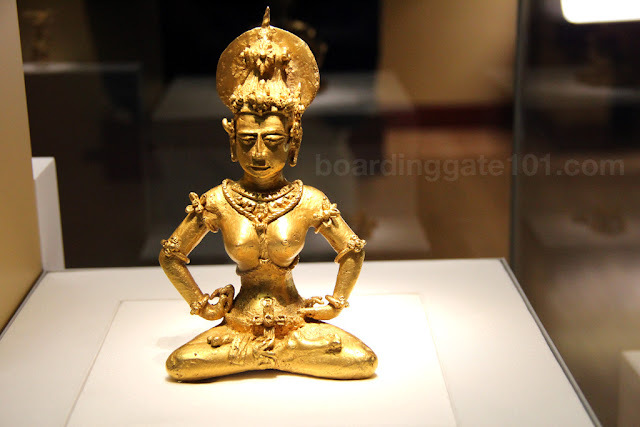 Cancun is located in the south of the country, in the state of Quintana Roo, in the Yucatan peninsula. 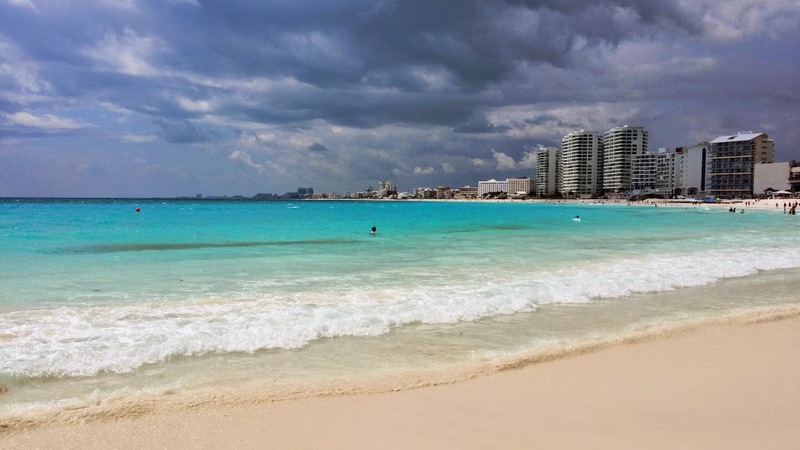 Cancun, the name of which means "nest of snakes" in Mayan, faces the Caribbean Sea. I arrived in the city after spending a few days in Mexico City, flying in via Aeromexico. 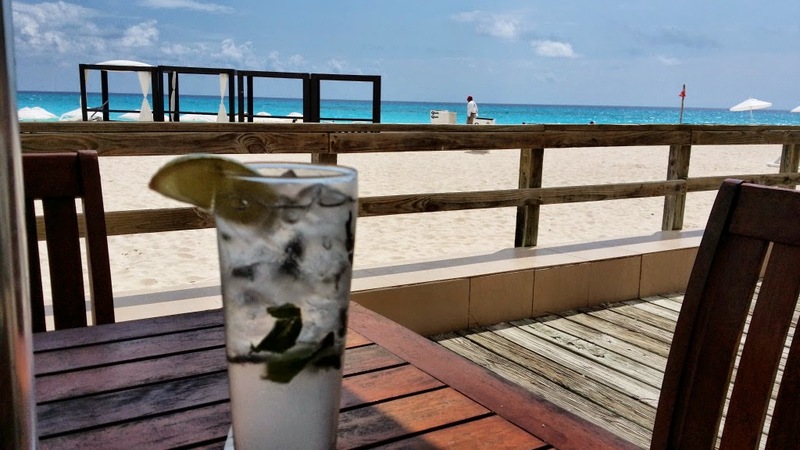 I came in just a few days before spring break, which just suits me fine as I could avoid the crowds of inebriated freshmen imbibing vast amounts of mojitos on the beach. 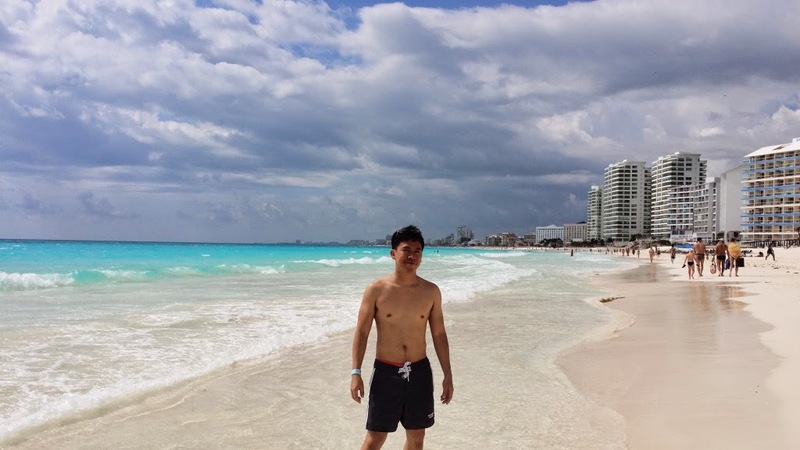 I did not hit the beach right away, as I went to Valladolid and Chichen Itza first, the former to jump in a cenote, and the latter for the Mayan pyramids. 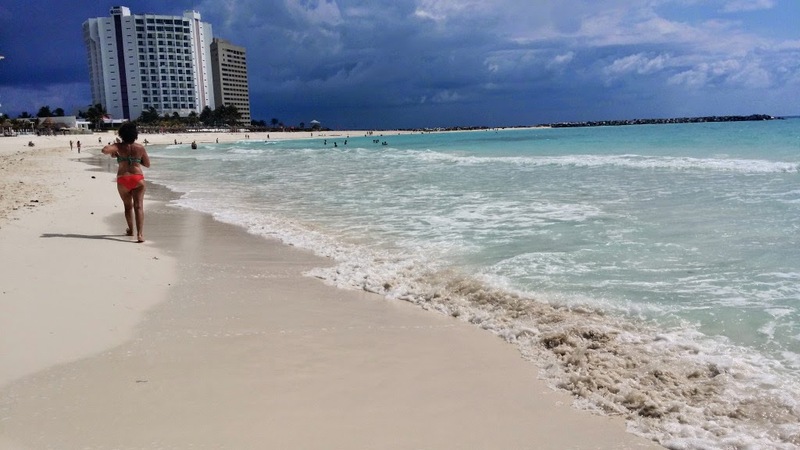 Cancun is actually delineated into two areas, Centro, where I stayed, and the Hotel Zone, which sits on a island. 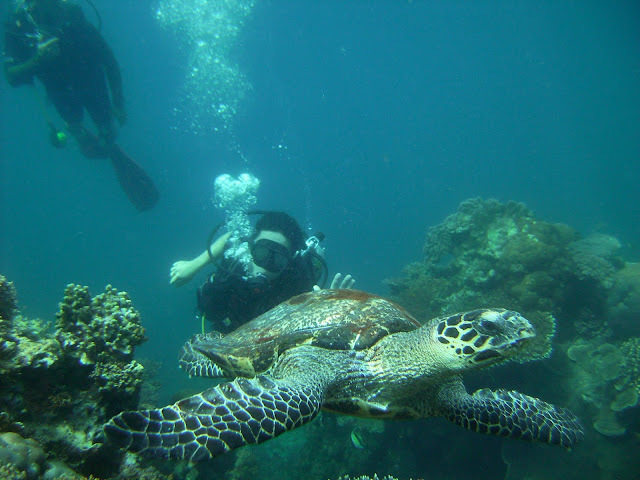 The island itself is the world's second longest coral reef, and along here lies the beaches and the countless hotels that stretch out for about 28 kilometers. 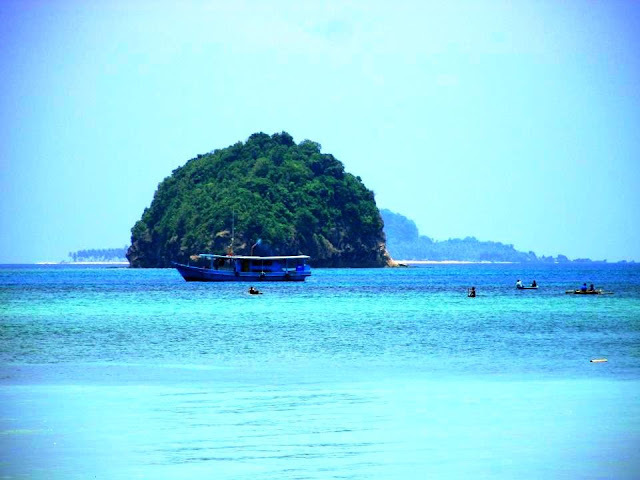 I went to two beaches, Playa Caracol and Playa Tortugas. Playa Caracol was the first beach that I visited. I was actually left breathless when I first saw the beach.It was postcard perfect - sugary-fine sand that stretch for miles, bordered by cerulean waters, the foam breaking on the surface with undulating motion. 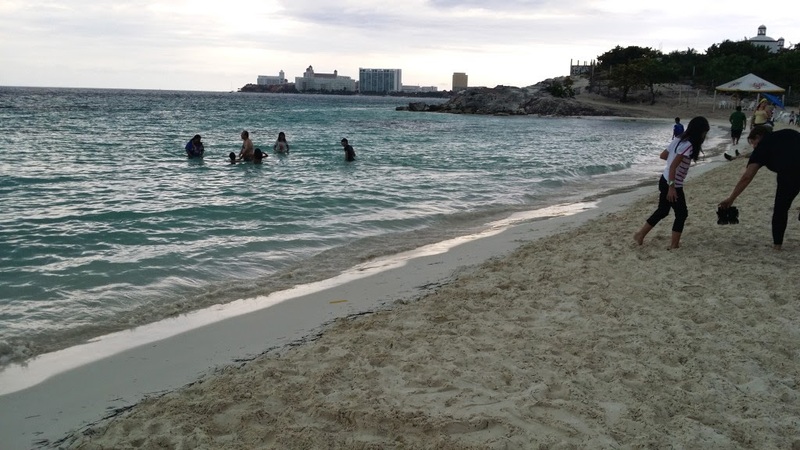 I started walking along the beach, feeling the cool water on my feet, passing several tourists getting their dose of Vitamin D. I found a spot where to leave my shirt and phone, and took a dip in the Caribbean sea, uttering "This is life" on my mind as the waves crashed over me. I continued walking along the beach after I got my fill. 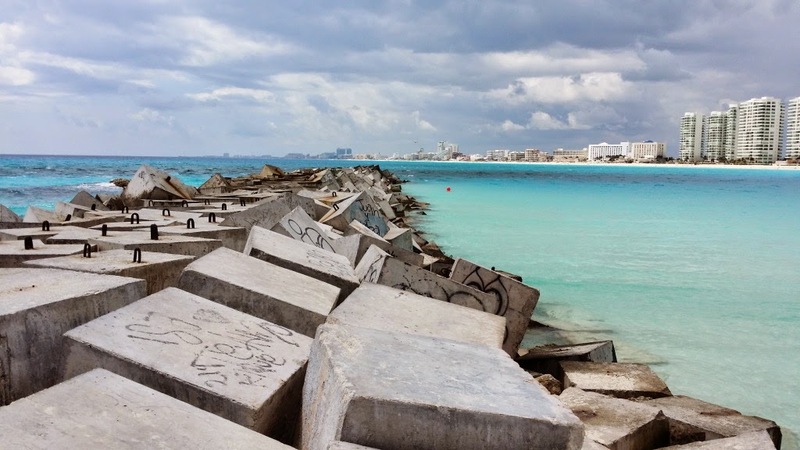 I first went north, getting as far as the breakwater, which offers a great view on the whole of Playa Caracol. Then I doubled back and went southward, stopping once in a while to swim and enjoy the view. I was chatted up some tourists along the way, who asked me to take a photo of them. I also saw a booth on the beach offering parasailing rides, but I found it expensive so I moved along. I went to look for some refreshments as the sun was already high up (and my sunburn got worse from all the climbing of the pyramid). I ended up in Chili's where I ordered mojitos, a bottle of local beer (Bohemia, which is my beer of choice in Mexico) and fajitas for lunch. I laid back to enjoy the food and the drinks, watching people go to and fro on the beach, and feeling all the stress melt away. I stayed there for a long time. The sky was overcast when I was going Playa Tortugas (tortuga means turtle in Spanish) , so the beach wasn't that picturesque when I got there. Storm clouds were gathering in the horizon, so not a lot of people were on the beach. 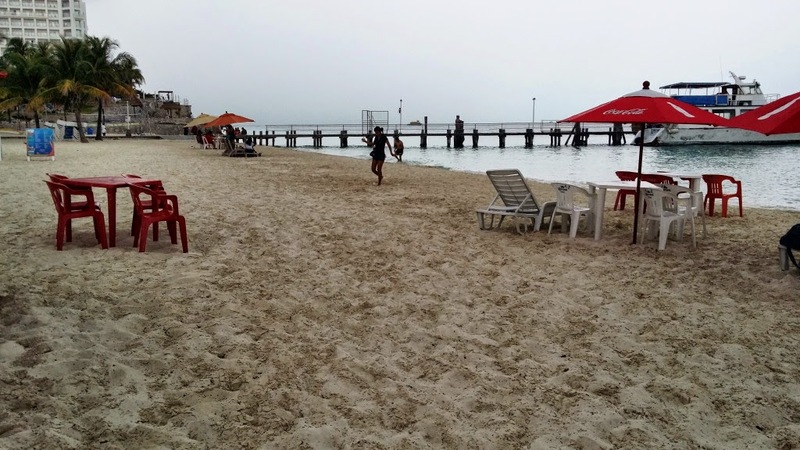 As Playa Tortugas hosts the pier for boats going to Isla Mujeres, there were some distracting activities that might ruin your sojourn on this beach. It is not a surprise that I liked Caracol better than this one. I did not spend much time here, and I head back to centro just as the first raindrops began to fall. I got pretty soaked before I was able to get in one. 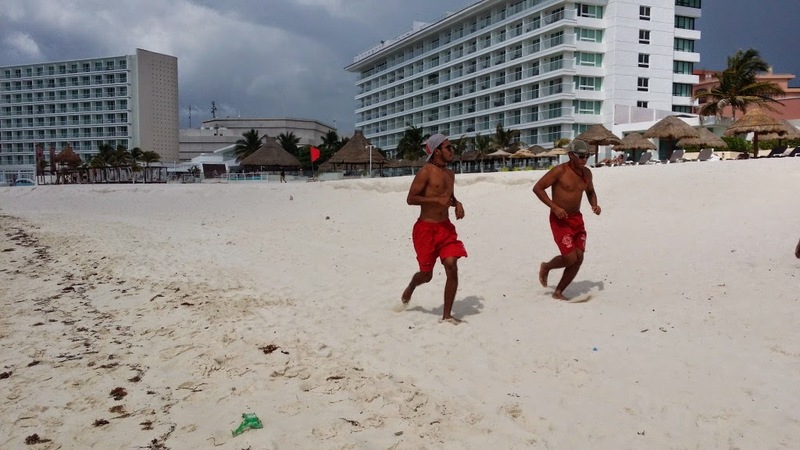 You may take a public bus from Centro to Avenue Kukulkan, where the hotel row and the beaches are. 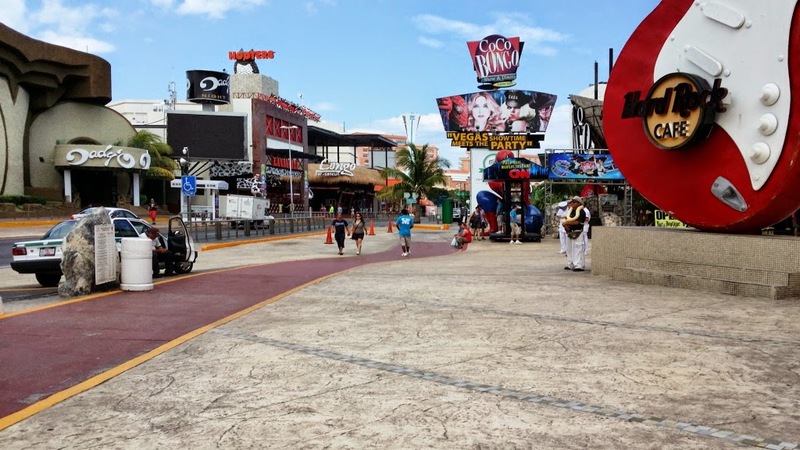 Take the R1 bus from Avenue Tulum, and pay 9.50 Mexican pesos for one trip. You may go through the hotels from the road to the beach. Some of the bus stops correspond to the beaches, so be sure to know which stop you're supposed to get off. Did you forget to wear sunscreen?